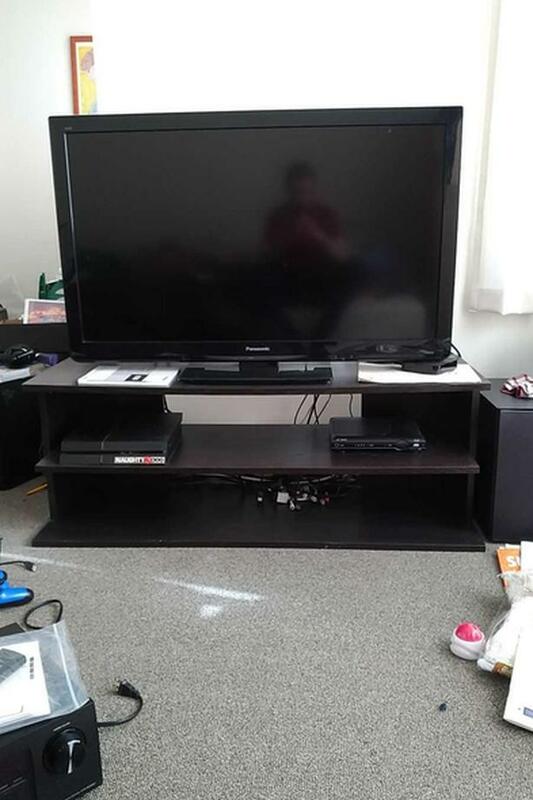 Sturdy TV stand with two shelves. 17" tall and 46" wide. Includes wheels (not pictured).